Your Wedding Day: Choose a day that reflects the energies you most want present in your marriage. Is it home and security, travel and adventure, spiritual growth, children? Why not have the planets in harmonious alignment for a loving, fulfilling union? By selecting a date and time that resonates with both of your individual charts, as well as a day with positive astrological aspects, you can give your marriage the extra benefit of blessings from the heavens. Starting a Business: Begin your new enterprise on a day that reflects success and prosperity. By selecting a day that highlights your business intentions, you will achieve your goals more easily and effortlessly. Selling Property: By placing a "For Sale" sign in front of your home at just the right moment, you can attract the right buyer and sell your property more quickly than you imagine. One of my previous clients put the sign in her yard at 2:00 p.m. and by 4:30 p.m., she had her interested buyer! 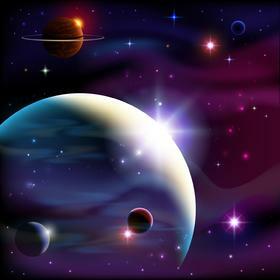 Surgery: There are some definite astrological do's and don't around surgery. Choose the day that will allow you to avoid complications and heal more rapidly with the outcome you desire. Astrology can help you choose the best time for just about anything else, too. Job interviews, parties, launching new products or services - the list is endless. Why not have the planets working for you?